I meant to write about this in time to invite others to participate, but unfortunately, as usual, my time got away with me. Part of my goals for the beginning of this year was to blog more consistently. Well, folks, I have failed big time in that. That’s okay, here I am, moving on. If you follow me on Instagram (if you do not, you should, you know. wink, wink) you will have seen this photo of a crocheted throw-sized afghan done in red, white, and blue. Brittany at BHooked Crochet challenged crocheters to make these in order to send them in to Warm Up America who would then, in turn, send them on to Walter Reed Hospital as gifts for our wounded soldiers. She also included a knitting hat pattern in the post for those who did not crochet, wanted to knit something, or wanted to add a little extra to their box to Warm Up America. This pattern was difficult for me to understand as written however, being a visual learner, I was able to get the gist of it via the included video on the challenge blog post. The sextuple treble stitches were not hard to do however the white Red Heart yarn split horribly and I felt the look was not as polished as it could have been because of that. I might have also chosen to do the border differently if I had really taken the time to think about it. Overall, I am glad that I learned how to do this and will probably use some components of the pattern again in my own blankets. The long stitches would look good for a throw for a chair or to pretty up a couch. Spring colors would make these stitches pop! Years ago I was a semi-decent blogger. 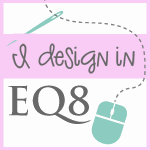 I started in the early days of blogging and continue for 8 years. I retired from that venture because it no longer served my purpose. I’ve tried in the last couple years to start it up again but the blogging world has changed so much since I began many moons ago that what used to make a blog successful no longer works. It just is not the same. My current stage of life means little-by-little, step-by-step, I am able to start doing things I enjoy. Apparently life is more than diapers. Huh. Who knew? I’ve crocheted for almost 30 years (what?!?!? ), have sewn off and on, and have recently added making quilts and knitting to my repertoire. I am still a homeschooling mom of six, so while there are no more diapers, there are many interruptions to my crafting dreams. So what? Life goes on. Or so they say. Stuff will get done but just much more slowly than I like. And now we have come to a new year. 2019. Twenty years ago we were all party like it’s 1999 and worried that the world was going to end when the clock struck midnight on a new century. Now the world is still as crazy but you will still find crafters of all kind of areas working hard at making their wares. Technology is big but thousands of years of handiwork knowledge passed down through the generations works quietly behind the scenes of the newest thingamajig or whositwhatsits. Our tools make look fancier but underneath it all, we are still sewing stitch by stitch, cutting out fabric, and making blankets with needles and hooks. So this year I’ve decided to go back to what really drives my enjoyment of making. My goals are simple and I feel they are much more reasonable. Lofty goals have always been my way but, year by year, my wisdom prompts me to get simpler in my expectations of myself and my family. At least I’d like to think it’s wisdom. It could be the many errant brain cells I lost during each childbirth ganging up on me and convincing me that I am reasonable. So what are my goals? I love love love big puffy heart love lists and so you will find my 2019 goals in list form down below. Maybe the goal list will pop up on the sidebar to keep me honest. Maybe. One quick note before ye olde list appears and you can get on with your lives. I have decided to start some kind of income making project this year. My idea is very rough at this point and it may end up nowhere when I am back here again on January 1, 2020. Still, I will try because if I do not? Well, let’s just say I will always wonder. Right now I am thinking crochet patterns as well as maybe simple offerings in sewn clothing. We shall see and I will keep you updated on how this changes. Do you have crafting goals for 2019? Share them in the comments! This post contains affiliate links for products and/or companies I personally use. At no cost to you, I may receive a small commission for any purchases made through these links. Thank you for supporting Harbor Handicrafts! When I received an email a while ago letting me know of Angela Walters’ upcoming Glorious Dawn Quilt-Along Kit available to Bluprint members, I immediately signed up. Beginning October 1, 2018 and running until October 29, 2018 each Monday will focus on a live quilt-along that will help those participating work on their quilts in an online setting. If you are just really busy or do not have quilting friends nearby, this is the perfect event to get a beautiful quilt done in a virtual setting without leaving home. 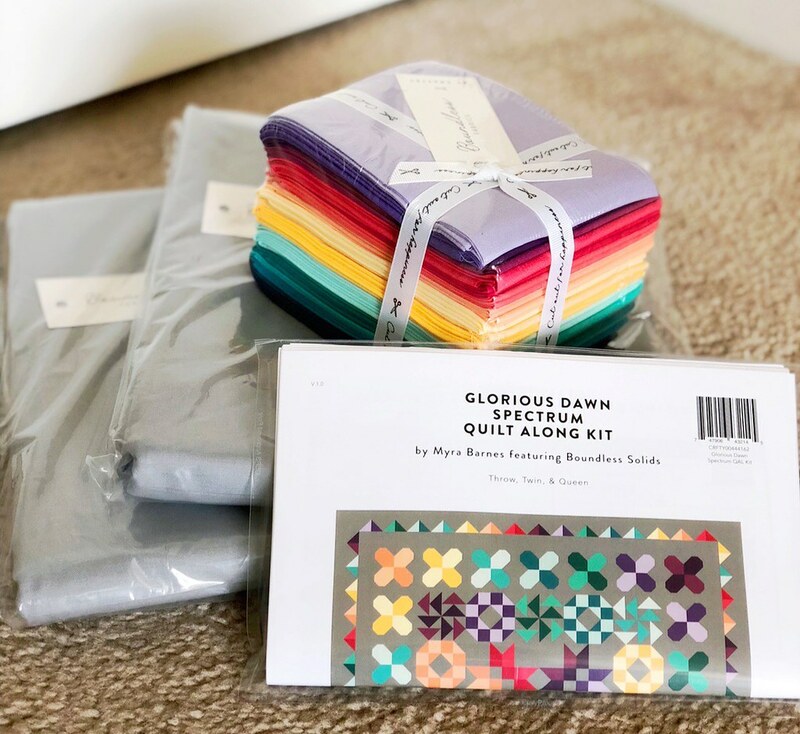 Because I am a Bluprint Member (formerly known as Craftsy Unlimited), I was able to get 50% off of the Glorious Dawn quilt kit at Craftsy. $80 for all the fabric and backing for a throw-sized quilt? Can’t pass up that deal. There are three kits to choose from: Collage Sea Spray, Solids Spectrum, and Botanical Hydrangea. I chose Glorious Dawn Solids Spectrum as I wanted something bright and colorful to hang up in my foyer and I felt that the soft grey helped those colors stand out perfectly. I will be updating weekly on how the quilt is coming along. Be sure to visit this blog space to find those updates, as well as visit my Instagram space. What quilting projects are you working on? I’d love to see them! 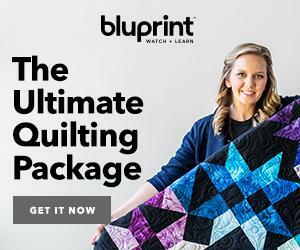 Will you be participating in Bluprint’s quilt-along? Let me know in the comments. 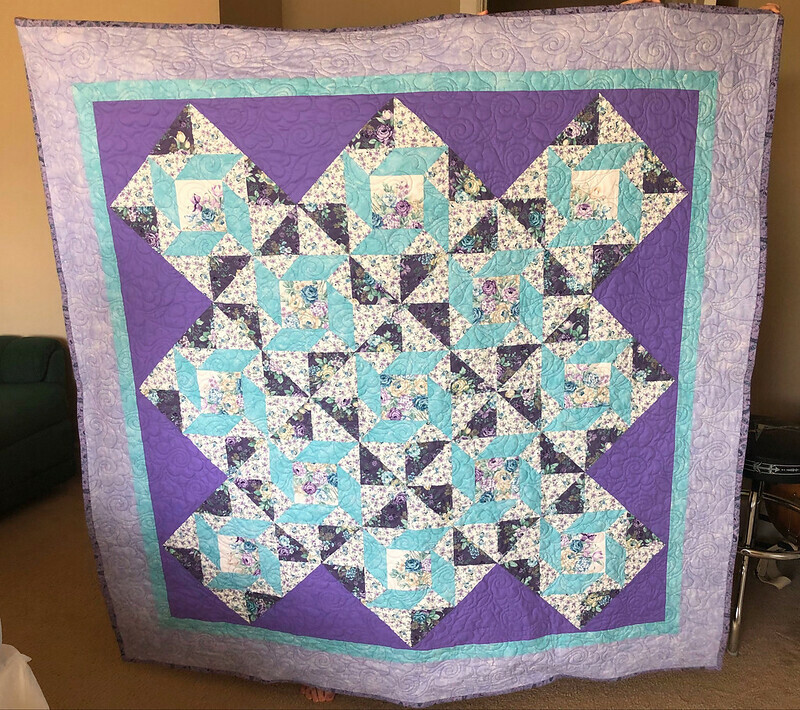 The intermediate quilting class I took earlier this year introduced me to on point piecing. It seemed intimidating at first because hello! the blocks seemed to be set diagonally and I had only sewn classic blocks horizontally so far. Add to this that I had to make at list 4.7 million flying geese (I cannot get those consistently accurate for the life of me) and it was quite daunting. Nevertheless, my patient quilting teacher, some great quilting-class friends, and my love of quilting got me through. This ended up being a birthday present for my mother-in-law and I think she is pretty happy with it. I also learned mitered corners which weren’t so difficult once I learned how to correctly fold back the fabric. The binding I put on backwards – oh, well – however I kind of like it this way because you can’t see the seam line on the front. I do wish that I had reversed the darker purple fabric and the lighter floral fabric in the flying geese. I think it would have stood out better. Bouquet Panel in Linen. I fussy-cut these bouquets out at different angles and put them in the centers of my blocks. I found this beautiful little 3/4 sewing machine in a local antique shop. 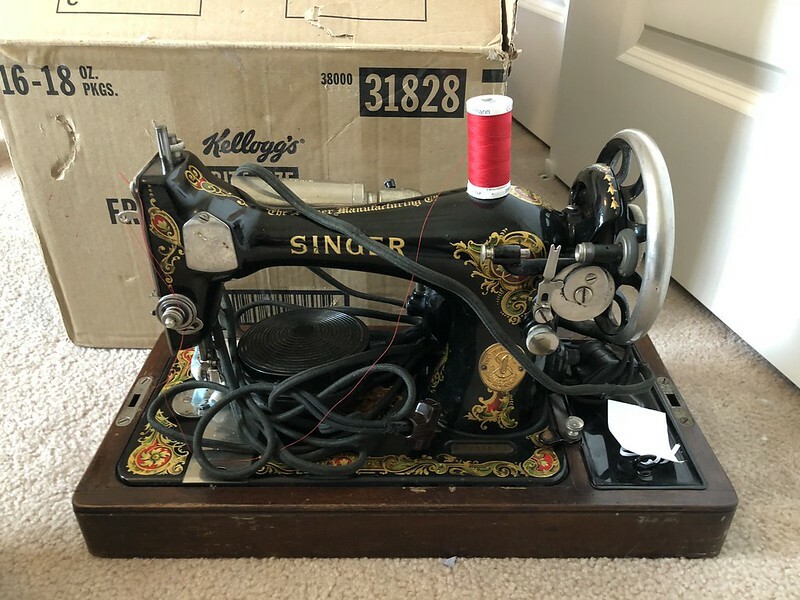 I am always on the lookout for a Featherweight to add to my collection so I just happen to find myself in various places where a vintage sewing machine might pop up for sale. Even though this is not a Featherweight, I had to pick her up because she is just beautiful. She needs a name and new wiring and a good clean up. At some point the finish will need to be redone, taking it back to its original shining finish. That type of work is beyond me at this point. The Bentwood box was quite the bonus and will need some cleaning and whatever else goes into restoring these wooden beauties. A key will need to be found to lock it up when I want to bring it with me to quilting class or a retreat. It will need a bulb and a new belt and bobbin winder tire. 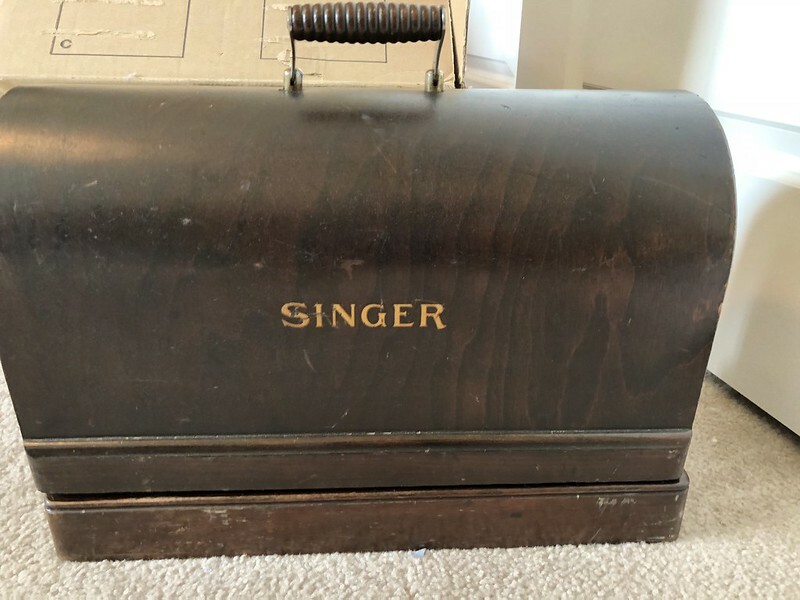 I am thinking of making it a hand crank machine and completely taking off the electrical aspects. It would be great to have a machine that I could use that does not rely on power. I’m still in the research part of that. Even though I am currently sitting at my computer in sweats and a sweater – it’s the great Pacific Northwest, y’all – the calendar plainly shows that summer will be here in two-and-a-half weeks. With our homeschool year coming to an end in a few days, my list of crafting to-do’s grows ever longer. It is time to bind quilts, finish an amirugumi animal that has been months in the making, and start designing that afghan I have brewing in the back of my mind. Before I show my list, I encourage you to think up your own list. If you are easily overwhelmed, even just one thing written down is enough! Comment below and let me know what your crafting plans are. Finish binding on quilt #2. This is priority number 1. Finish backing for quilt #1 and get it longarmed. I realized last week that the starch bottle leaked onto the backing fabric I have for this quilt and as I do not pre-wash my quilting cotton, I am hoping that I’ll be able to get out the spot with water and my iron. Fingers crossed! Cut out fabric for this fall’s quilt. That is it for now. This list will grow as I think of things. Isn’t that how it always goes? Never-ending, I tell ya! What are YOUR projects that need to be finished or started? Share them in a comment! Harbor Handicrafts occasionally uses affiliate links, banners, and the like. At no cost to you, I receive a small commission from any purchases made through these. Thank you for helping to support this website!